$300,000 - Indochine Vien - 3110 Glendale Blvd. - Resaurant serving Vietnamese comfort food ... "great reviews and ratings" ... "'The Grove' will be coming soon to its neighboring area" ... "Starbucks and Wine Tasting Company is in construction across the street." $4,600,000 - Whole Food for Life - 3070 Los Feliz Blvd. 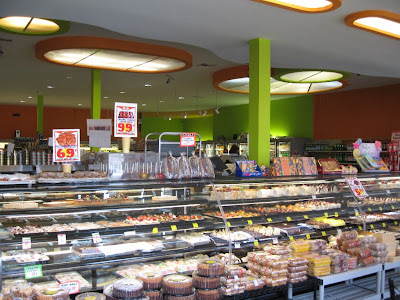 - 9,800 sq ft ethnic grocer with possibly confusing brand - "In addition to the super market income, owners receive approx. $3000/m. for the signage above the supermarket." $350,000 - 55 Degrees Wine - 3111 Glendale Blvd. - Before it's even open, this has been listed a couple of times for sale on Craigslist; it may be sold now, and our friends at Franklin Avenue suggest the brown paper window covers may be coming down soon. On a quiet street in Atwater Village, Guac Bowl creator Adam Pava will host the guacamole competition, which is invite only, but has a web site, guacbowl.com, dedicated to showing viewers how to throw their own Guac Bowl. The web site was inspired by Pava's quest to eventually have Guac Bowl Day recognized as a national holiday. 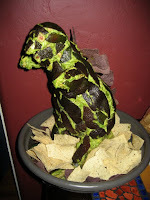 Not having received an invitation myself (ahem), I nevertheless look forward to photos of this year's award-winning Cloverfield guac monster. CHA_0056, originally uploaded by miles10001. THE BEST PART OF SNOW: Looking at it. Not being in it. 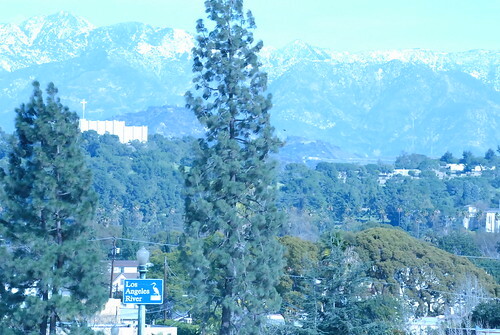 FROM WHAT LOOKS LIKE Los Feliz Blvd. above the 5, this ABC 7 reporter gives the wet details of last night's on-and-off rain. Being from a land-locked state in the middle of the country - where "winter storm" means you die from 5 minutes of wind-chill exposure - I still get a kick out of the histrionic TV coverage of LA's "heavy showers." A FLURRY OF CONCERN this weekend about an apparent theft in Atwater Village: According to this Guns N' Roses fan site, the band's tech lost his 1950 custom Triumph in front of Club Tee Gee, just after midnight Saturday. Words like "stolen" and "reward" were bandied about. 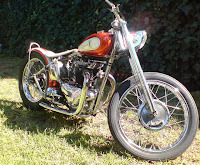 But within 48 hours, the site reports, "The bike has been found and returned to its owner." Thank goodness. Atwater Village has a proud musical heritage - even with techs! - and no one wants it tarnished by an incident like this. THANKS, EVERYONE, for your kind comments and emails. All is well in Newbieville. In the last month, a lot of travel, most of it out of town. So bear with Mrs. Newbie and I as we catch up to the happenings in Atwater Village. Stay tuned.